For many visitors sightseeing in Istanbul is as much about shopping as museums and monumental attractions, and the Grand Bazaar is where everyone comes. 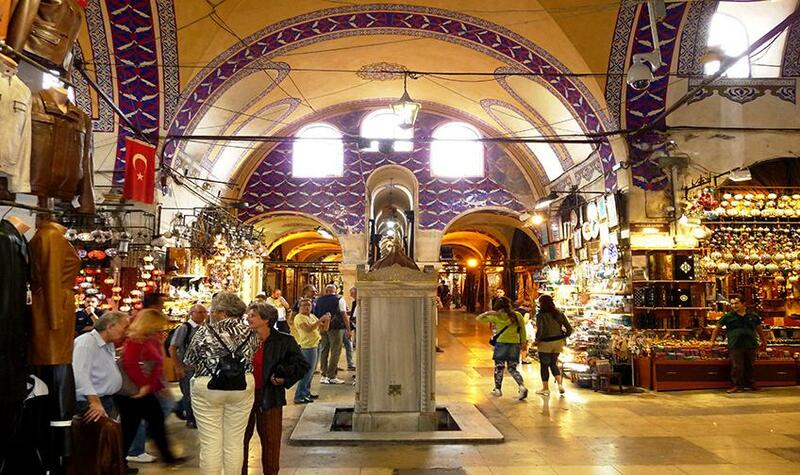 This massive covered market is basically the world's first shopping mall; it takes up a whole city quarter, surrounded by thick walls, between the Nure Osmanıye Mosque and Beyazıt Mosque. Entrance is through one of 11 gates from where a maze of vaulted-ceiling lane-ways, lined by shops and stalls, cover the area. The various trades are still mostly segregated into particular sections, which makes browsing easier.